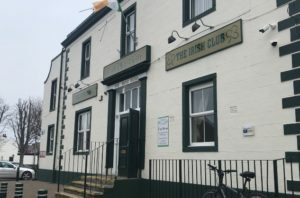 St Patrick’s Day will be coming to Warrington for the town’s first dedicated Irish festival this year, with celebrations for everyone to get involved in. Warrington Irish Club has joined forces with Golden Square Shopping Centre for you to enjoy some festive fun this Spring. On Saturday March 16th, Golden Square’s Old Market Place will be buzzing with excitement as it is transformed into Warrington’s St Patrick’s Irish festival followed by a parade on the Sunday. From 11am there is a chance to enjoy culturally rich music, dance and arts. Featured performers include Warrington Irish Club dancers, Robinson Academy of Dance, Ward-Mallinson Dance, and the Rodgers Academy of Dance. There will also be music from The New Silver Dollar, Tom Stenson, The D’ukes of Longbarn ukulele band and The Bogtrotters. You can then wind down with a pint at the Guinness bar as well as tucking into some Irish stew until 6pm. The festivities will move into Flanagan’s new Irish bar, all in aid fundraising for Liverpool’s Alder Hey Children’s Hospital. Chris Whitehead of Warrington Irish Club told JMU Journalism: “Alder Hey Children’s Hospital is quite close to my heart. My granddaughter has been in there and she had to undergo major operations. 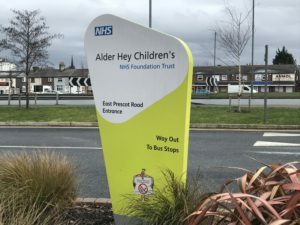 Warrington Irish Club has raised thousands of pounds for Alder Hey and other charities over the years and is now encouraging shoppers and visitors to donate what they can. Each year the Irish Club hosts a St Patrick’s Day parade and hope to make this new festival a regular event in the calendar. Mr Whitehead added: “Warrington is the ideal place to hold a festival like this. We’re in between Liverpool and Manchester, we’re just a quick train away from both cities.